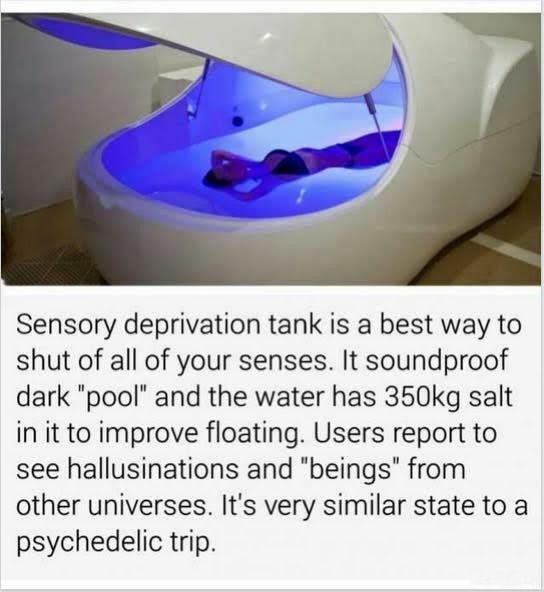 Sensory deprivation tank is a best way to shut of all of your senses. If soundproof dark “pool” and the water has 350kg salt in t to improve floating. Users report to see hallusinations and “begins” from other universes. It’s very similar state to a psychedelic trip. The next generation in flotation technology – The Float Pod has arrived.